To help The Cloisters, the medieval branch of the Metropolitan Museum of Art, celebrate its seventy-fifth birthday, Canterbury Cathedral, founded in 597 CE, lent it six stained glass panels from its Ancestors of Christ Cycle, dating from 1178 CE. They will be at The Cloisters until May 18th, 2014. In Europe, a thousand-year gap existed between the glories of ancient art and its renewed blossoming during the Middle Ages when it reached its apogee with Gothic cathedrals and their accouterments, including the panes of stained glass that filled the edifices’ enormous windows. The glass used for these are jewel-toned, with blue, made with expensive lapis lazuli, and red providing the highlights. The colored glass fragments were assembled using strips of lead whose pattern contributed to the overall design as did the armature of iron bands that so far provided almost a millennium of stability. During the Middle Ages, the bulk of the worshipers were illiterate, and the stained glass windows were like picture books, telling Bible stories most often in several small scenes. The masterful Ancestors of Christ Cycle windows are rare insofar that each one represents a single, almost life-size, male ancestor of Christ. Of the original 86 figures, arranged in pairs one above the other, surrounded by a rich foliate border, about half survived. At the Cloisters the images are at eye-level and it is a pleasure to study the shapes and shades of the glass, the ribbing of the lead, and the intricacy of the painted surface. 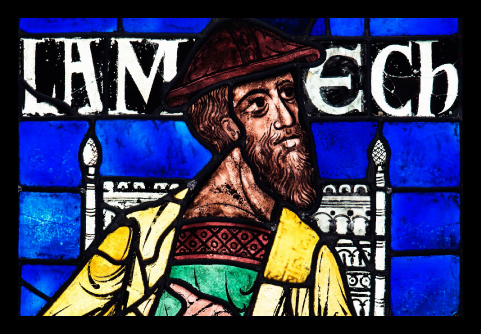 Lamech, son of the legendary Methuselah, is among the six panels that crossed the Atlantic. Wearing a conical hat and sumptuous garments, Lamech is nervously twisted on his grand ivory chair, worrying about humankind’s increasing sinfulness. His son Noah, also here, looks much more confident. The Met owns some rare stained glass treasures. 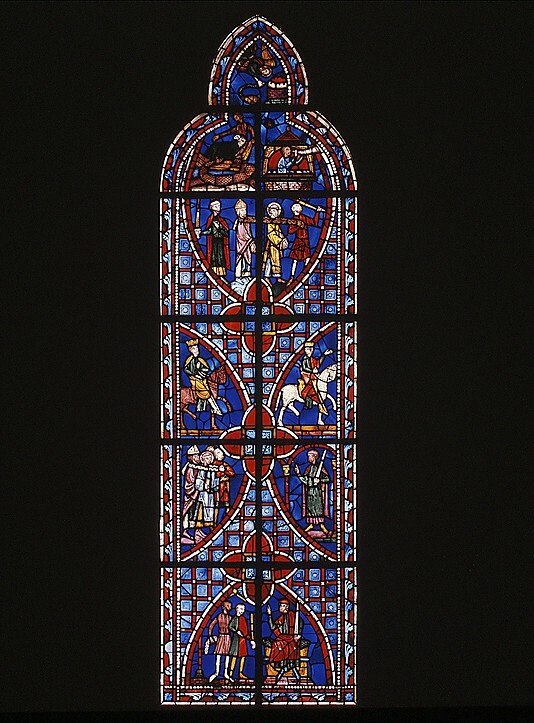 A wonderful thirteenth-century window from the Lady Chapel of the Abbey of Saint-Germain-des-Pres is on view at the main building. It depicts the martyrdom of the Merovingian King Childebert and his brother Clothar who retrieved a fragment of the tunic of Saint Vincent of Saragossa from Spain. To experience the full effect of the magic of medieval stained glass windows, you don’t have to go to Europe though. On a sunny day, a visit to Riverside Church in Manhattan, whose stained glass windows consist of copies of medieval windows from and manufactured in Chartres, France, as well as American-made windows, is an exhilarating experience. Modern stained glass windows can also be breathtaking. The tiny Union Church in Pocantico Hills, with a rose window by Henri Matisse and side windows by Marc Chagall, is awe-inspiring. Stained glass pops up in unexpected places. 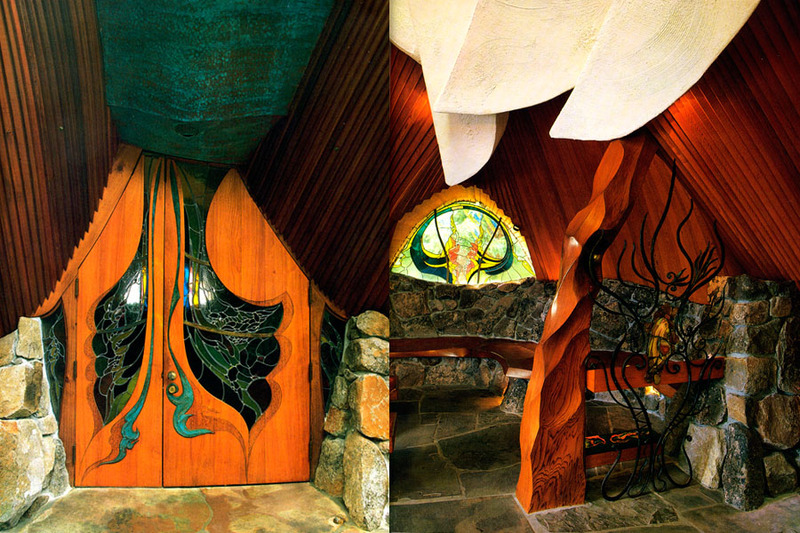 One of them, filled with extraordinary stained glass windows, is the tiny Sea Ranch Chapel set among redwoods on California’s Sonoma Coast. Created by James T. Hubbell in 1985, the sanctuary is devoted to meditation, spiritual renewal and prayer. This entry was posted in Uncategorized and tagged abbey of saint germain des pres, american art, ancestors of christ, art, art museums, canterbury cathedral, childebert, james t. hubbell, king childebert, lamech, medieval art, medieval stained glass windows, methuselah, metropolitan museum of art, mosaics, nyc exhibits, nyc museums, radiant light, riverside church, saint vincent, saint vincent of saragossa, stained glass, stained glass windows, the cloisters, union church in pocantico hills. Bookmark the permalink.